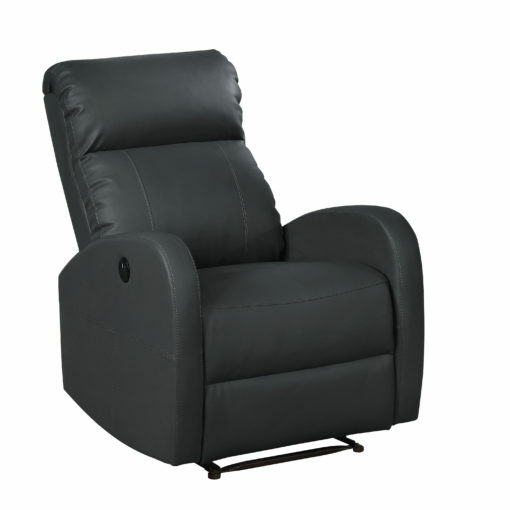 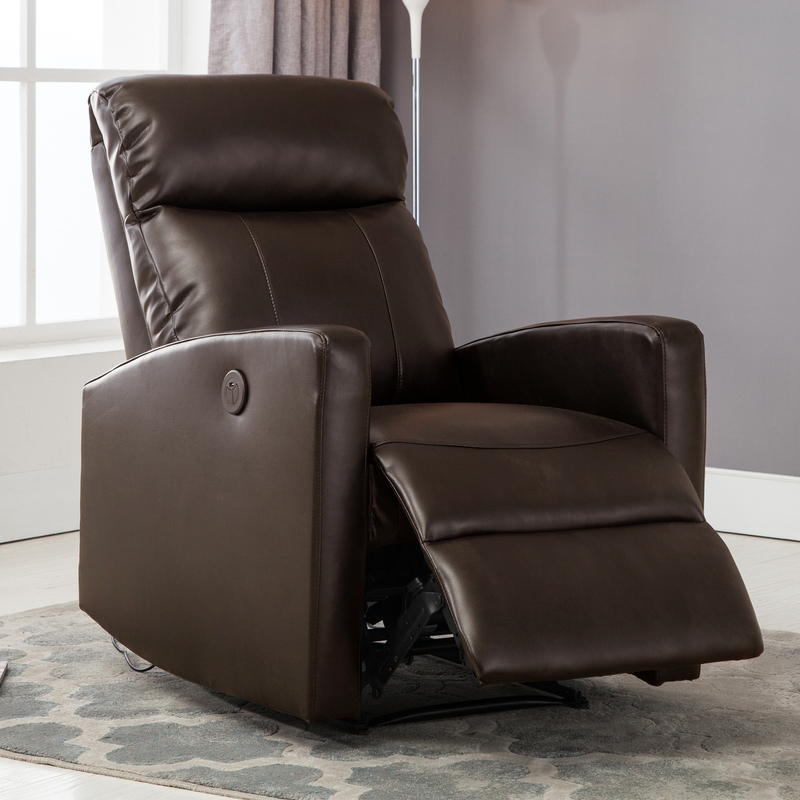 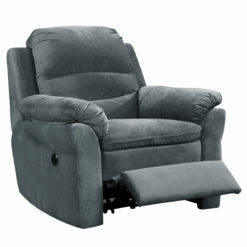 Relax on our Sean small power reading recliner. 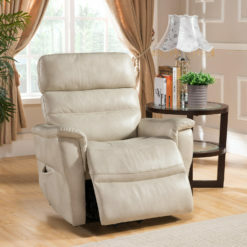 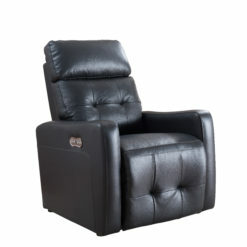 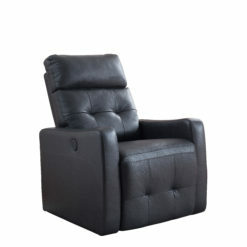 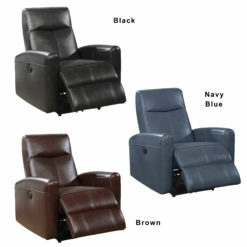 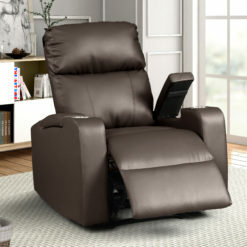 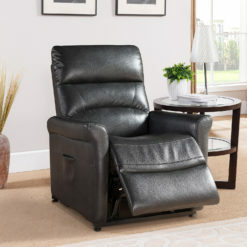 Part of our line of power recliners, this electric reclining chair comes equipped with a push-button and USB charging port for added convenience.The durable leather infused fabric that has a hand of high-end Italian leather is wrapped around a sturdy well-constructed solid wood frame that sits atop a heavy-duty steel mechanism. 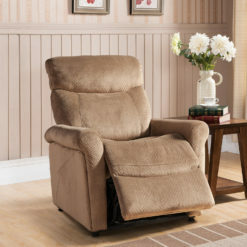 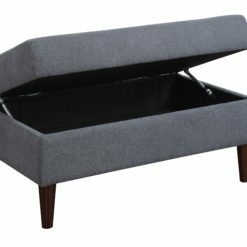 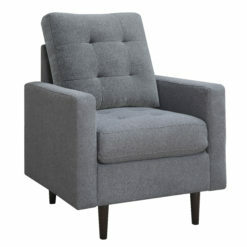 This recliner chair will be the perfect getaway after a long day and a great place for a relaxing afternoon nap. 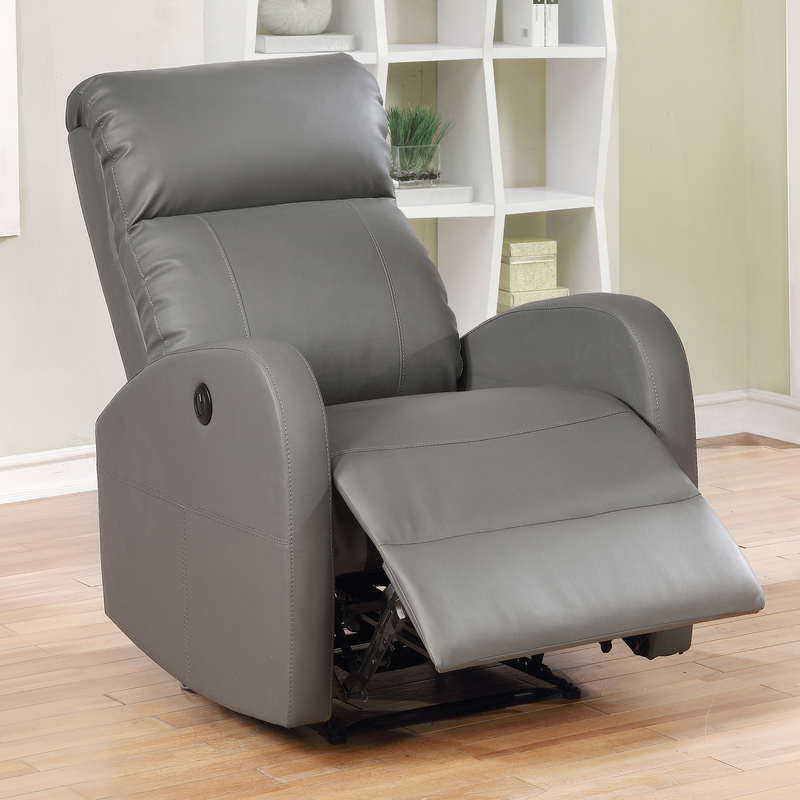 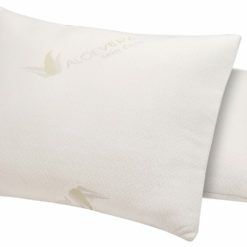 Sit back, relax, and recharge you and your device at the same time.